There are tiki bars, and then thereTiki Bars. Hale Pele is the latter. Enter from a relatively dead block of NE Broadway, cross a small bridge next to a trickling waterfall, and you will find yourself within a thatched hut that feels tricked out by someone on a strong form of aboriginal acid, where psychedelic lights, bamboo, and giant Polynesian masks all clamor for attention alongside nearly 40 frothy, boozy tropical concoctions. Pretention is banished here—Hale Pele’s cheesiness is central to its charm. Spiky puffer-fish lamps overhead? Check. “Thunderstorms” blowing through the sound system on the hour? Check. A volcano that spews smoke? Triple-check! Conversations flow easily (and increasingly loudly) between strangers at neighboring tables, fueled by nibbles of addictive, sesame oil–slicked edamame and sips from the epic, rum-centric cocktail menu. The sugary classics are here (the Painkiller), but plunge deeper into the menu for a taste of the spicy side of the tropics (the Navy Grog). Just pay close attention to the menu’s “potency scale” and come with a couple of hours to spare—service tends to run on “island time,” natch. 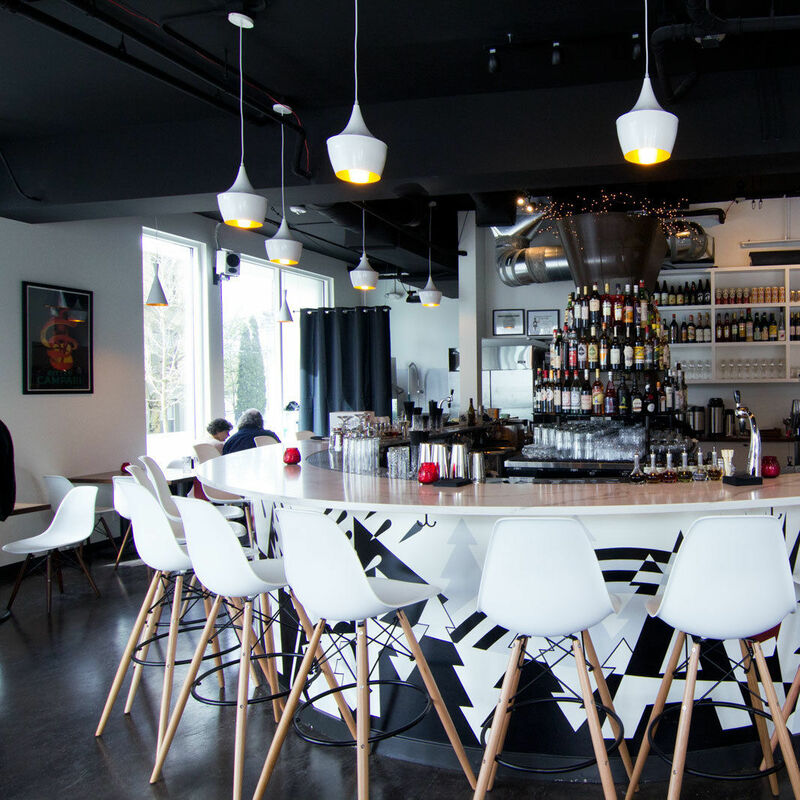 We featured Hale Pele in our guide to Portland's best bars of 2014. Eclectic New Orleans expat Chris DeBarr is out; Luce alum John Willis is in.